In 2004 Trinity started serving a free hot breakfast to students walking to school. This ministry grew from one day a month, to one day a week, to a few days a week, then every school day. In 2015 the High School started to offer hot breakfasts for its’ students. Not wanting to compete with them we stopped the Breakfast Program at Trinity. When stopping the Breakfast Program, we started an After School Program one day a week, to offer food, mentoring and a warm place to those students who need it. Until recently we were the home for Baby Steps, a 4H project started in 2011 to provide essential needs for young parents. This program provides a needed resource for the families in the Claremont Community. The program has evolved over the years and now offers a wide variety of things needed to help these families through life’s transitions. Baby Steps, run by volunteers, is always in need of items and resources to continue helping the families. We continue our mission of providing food for students over the weekend by sending bags of food for the school nurses to distribute. We currently provide 52 bags weekly to the Middle School and Elementary Schools in Claremont. 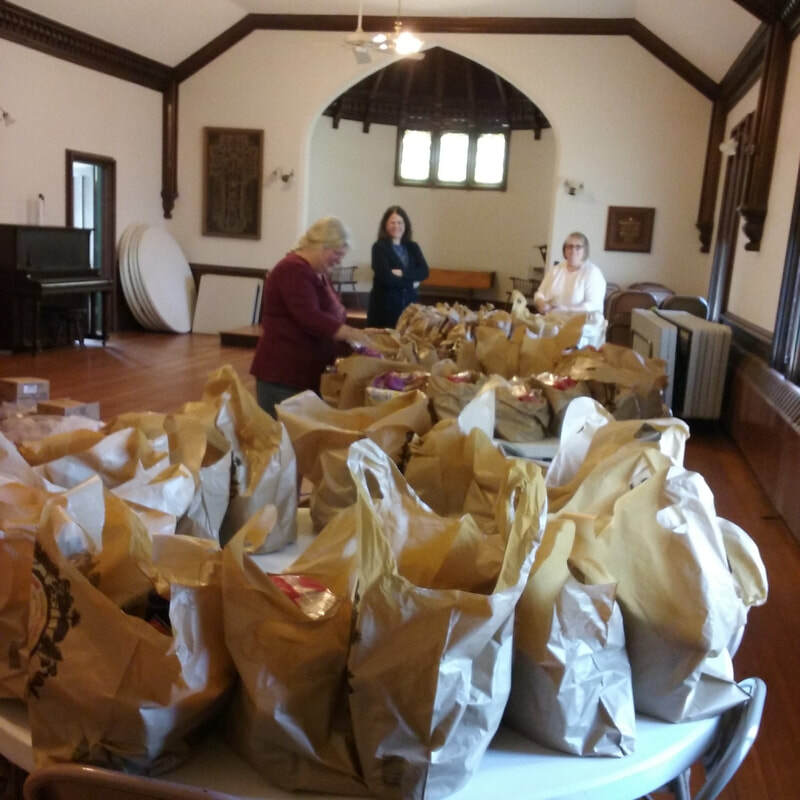 The food for these bags is generously supported through community gifts, and are then packed and delivered by volunteers.